Aquarius — great cranks and originals, often cause confusion among others. They have their own idea of ​​life, they do not follow generally accepted rules and norms. Too independent to listen to the opinions of colleagues and business partners. But they need support: they easily come up with original ideas for large-scale projects, but do not consider it necessary to pay attention to details. Astrological knowledge provides Aquarius with a unique opportunity to attract good luck to their side. Horoscope The work will point out possible problems, ways to solve them, make them invulnerable, able to reach huge heights in the profession and business. The element of Air gave Aquarius ease, mobility, it is impossible to guess their thoughts, to understand the cause of actions. They are the bearers of ideas, both new and original, which can prove useful in the work. But it is useless to demand from them responsibility and discipline, the necessity to observe a strict regime causes horror in them. Quite often they change jobs, they can be in demand, respected specialists, but they do not rest on their laurels, they easily start life from scratch. Therefore, they achieve professional and material well-being rather late, they search for their place in life for a long time. A loyal Aquarius-chief does not have the habit of severely punishing his subordinates. He does not need to gain credibility, especially dragon methods. Always benevolent, does not express displeasure, even the most severe remark in his mouth is a polite request. First of all, he pays tribute to his abilities, so he does not carp at trifles. They can quietly let workers go home early if they have successfully coped with the assignment. But do not think that Aquarius will solve all the problems of subordinates, he is a friendly person, but still a boss, so do not abuse his kindness. Aquarius-subordinated to many colleagues is perceived as an eccentric. Completely immersed in his thoughts, constantly coming up with something new, trying to improve the production process. His ideas are so original that sometimes Aquarius is laughed at, and in vain. Projects are very viable, and most importantly — useful for the whole team. Waiting for the recognition of his talents, preferably in the form of a prize. For the Aquarius-subordinate, money is a confirmation of his professionalism. Easily write a statement of dismissal if he sees elsewhere more prospects for career growth or for the implementation of creative plans. Nature generously endowed Aquarius with various talents, their distinctive qualities: the mind, developed imagination, ingenuity. People of this sign are attracted by everything new, try to bring something of their own in the long-proven methods of work. Aquarius is a researcher, an innovator. For inspiration, you need a free flight of thought, so you choose work with a non-standard schedule. Rarely stops in one profession. Do not listen to anyone’s advice, always goes his own way, so it’s impossible to influence his choice. Aquarius men are interested in scientific research, they are talented scientists: chemist, physicist, astronomer, philosopher. They like to benefit the society, especially the delicate matter — the soul, most often work as psychotherapists, psychologists. Experiencing a great need to share their emotions, feelings with others, they are suitable creative profession: artist, director, writer, scriptwriter. In any case, they will never engage in a business that requires resolute, aggressive actions, these are exclusively peaceful people. Emotional Aquarius women are subject to a sharp change of mood, can change their sphere of activity without a valid reason. Often disappointed, too many abuses their kindness. They are looking for salvation in work, choose the profession related to travel: a sales agent, a flight attendant, a tourist guide. Many Aquarius among the creative intelligentsia, these are well-known writers, poetesses. They are suitable for jobs that involve working with people: a doctor, a teacher, a journalist. They love to work with their hands, they can turn their interest in embroidery or sewing into a profitable business. Air is an intangible substance, it is impossible to catch the movement of the wind. Thoughts and actions Aquarius is a great mystery, in the most part act intuitively, follow your dreams. The career of the people of the air sign is rather unpredictable, it is impossible to trace a clear pattern in it. One thing remains certain: they are honest, decent, industrious people. Today they work in one place, and tomorrow with no less enthusiasm — in another. Nature predetermined their main role: to inspire, guide. They create new projects, offer pretty bold ideas. The embodiment will have to be done differently, and Aquarius should go further, towards new discoveries. Inventive Aquarius are bored with traditional business, they are adherents of progress, they are attracted by everything new and unknown. They can work at a loss, but they will persistently promote the previously unknown product on the market. They are offended by the distrust of others, so they prefer to work alone. But they are too inattentive, they often deal with several projects at once. As a result, the collapse of business. It is better for them to join forces with more practical people who will deal with pressing problems, and Aquarius can calmly indulge in their fantasies. Recommended types of business: creative master classes, tourist excursions, photography, design, entertainment industry. Aquarius relatively calmly relate to money: their presence or absence — not a reason for serious reflection. They believe that, if necessary, the right amount will certainly appear. Usually it happens, suddenly there is a part-time job or there is a big win in the lottery. They prefer to spend money on the embodiment of their ideas, they can give or lend, but they definitely will not save. For them, this is a means of achieving goals, a way to live comfortably, but not the meaning of existence. Close people have to call them to save money or to monitor the budget themselves. Generous Aquarius men are ready to invest in any project, often help start-up entrepreneurs. This is when you have money. Usually can not boast of material wealth, they often ask for debt. But endlessly spoil relatives, women can be confident: Aquarius — a real magician, will not spare any money to arrange an unforgettable holiday for his chosen one. At any time can go on a romantic trip. Ready to endlessly surprise, but life in luxury and wealth, he can not guarantee. Aquarians women are glad to each new day, anticipate new adventures. Often choose a profession that does not require a permanent presence in the workplace. Therefore, freely have their time. They can easily create houses, attend exhibitions, go on long trips. As a hobby, they choose unusual activities: ceramics, painting of stained-glass windows, mosaic, engraving. A lot of money is spent on their hobbies, but they can not boast of a good salary. Women of this sign can not be called wealthy people, a rich husband is a find for women of this sign. 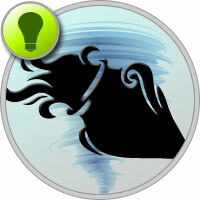 Aquarius have a rather high opinion of their merits, are too independent, therefore do not seek cooperation. But doing business is a complicated science, it requires hard work. Aquarius should only moderate his ambitions, his task is to come up with an original idea, the rest of the partner will take over. Enterprising Aries can realize all the ideas of Aquarius, the union is waiting for a successful future. Aquarius and Taurus are a wonderful tandem, they are real professionals. Aquarius and Cancer are creative natures, capable of creating a grandiose project. Cooperation of Aquarius and Sagittarius will benefit both sides, their business is aimed at a long-term perspective. Aquarius can not find a common language with Leo, who does not consider it necessary to give sufficient attention to his ideas. Aquarius and Gemini understand each other perfectly, but they need a more practical partner who can translate their ideas into reality. In alliance with Libra, Aquarius does not feel enough support. Libra too calmly refer to Aquarius, consider it an eccentric. The business of the two Aquarius can not be successful, they will not be able to bring things to the end, they are too enthusiastic about their fantasies. It is better for them to cooperate as colleagues, not partners. Aquarius and Pisces work quite successfully, but they can not involve others in the process, quarrels and misunderstandings are possible.